Why did I write a book about evolution? - READY... SET... QUESTION! Throughout my time working with young people, mainly high school and middle school students, I was asked many questions. Most commonly asked questions of my students had to do with situations revolving around their peers, boyfriends, girlfriends, or parents. As we know, relationships can be all consuming at times. Days seem to be swallowed up by the emotional fog produced by relational turmoil. Everyday tasks can feel like an impossible mountain of work when the people closest to us are at the center of every passing thought. Another commonly asked question had to do with the “HOW” of “How did we get here?” The “WE” meaning humans and all life on Earth of course. Kids are deep. Well, some kids have their moments of deep reflection. Yet, in a world with instant entertainment at their finger tips, surprisingly, many tweens/teens brood over their own existence. I was personally asked to clarify the intricacies of evolution dozens of times, but had no idea how to respond. In order to better serve my students I asked a question of myself, what is evolution? The question, “WHAT IS EVOLUTION?,” rocketed me into a new season of life. I began to read scientific journals like Nature, Science, Evolution, The Proceedings of the National Academy of Sciences, and The Journal of the American Medical Association. I set up Google alerts for the latest articles and findings in the evolutionary community. My copy of Darwin’s Origin of Species was never too far out of reach. I watched documentaries and read New York Time’s best sellers on evolution. I went as far as to contact heads of Biology Departments at major universities. Getting an education on the subject of biological evolution caused me to feel a bit like Alice tumbling into a seemingly endless rabbit hole. I had never liked the idea of “BELIEF” in evolution, due to my interest in science. Belief is for things that cannot be observed, tested, replicated, nor verified. Reading journals, watching documentaries, and chatting with evolutionary professionals I realized that there is a mountain of scientific evidence and research when it comes to the subject at hand. There is a great deal of science that goes into evolutionary research! With that said, I discovered a seemingly small inconsistency across the sources I had found. No journal, publication, book, documentary, or professor offered a consistent and scientifically agreed upon definition of evolution. In fact, some descriptions I found were in oblate contrast to each other. Yes, even professors at prestigious universities (of which I will leave name-less) would send me their favorite or personal definition(s) of evolution which would conflict and/or minimally coincide with another professor’s idea of evolution. In all of my research I have yet to find the same definition of evolution twice. Knowing that evolution is a compulsory subject in U.S. public schools, I decided to contact some educational agencies. The federally funded Next Generation Science Standards (NGSS) has created an educational frame work from which many states have adopted. The NGSS does not offer a definition of biological evolution at all. So, I contacted the California Department of Education and received the same response. 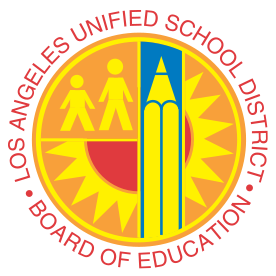 Next, I contacted the Los Angeles Unified School District (LAUSD), which is the second largest school district in the United States after the New York City Unified School District. Not surprising, LAUSD also does not offer a definition of biological evolution. If a definition is taught in the classroom, it comes from one of the many various definitions provided by the current textbook of choice for that district. Many teachers have the freedom to create their own curriculum which allows them to teach their favorite definition of biological evolution, even if it is their own. Yikes! Although the percentage of science teachers is more than likely a different number, 34% of Americans do not subscribe to evolution. Imagine a science teacher that does not subscribe to evolution, yet has the freedom to create their own curriculum and define evolution as they please. Sure, evolution is part of the required educational framework, but without a standard definition; where does this reality leave the future of science education? Being completely baffled, I turned to high profile court cases surrounding the evolutionary contention. Reading court transcripts going all the way back to the 1925 Scopes trial, I thought that I would absolutely find a definition of evolution. Not a single case in the United States has ever offered a consistent definition of biological evolution that could be cross referenced with another case. In essence, the legal battle that has been raging over evolution has failed to produce or outline a consistent, scientific, and legally agreed upon definition. How could such a contentiously debated idea have become part of our nation’s required science curriculum, yet been left ambiguous? The reality of failing to define biological evolution is far from being deemed just for those who oppose it, and frightening for the future of science education. Leaving evolution as an ambiguous term is dishonoring of students, parents, and science. 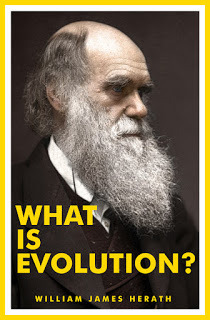 I have written a book that explores this issue in greater detail and it is titled, What Is Evolution? Previous PostStudy Before VaccinatingNext PostWhat is convergent evolution? I am so excited to read this book and share it with my fellow teachers. Willy…great job! Respectfully Genesis 1 in the King James Bible will give you ALL the answers on Evolution. Evolution is the change in inherited characteristics of biological populations over time. Hope that helps.